On a hot summer’s day, lots of people love to share their ice cream with their dog (or even buy them one of their own!). However, ice cream can be too rich for our furry friends, as it is high in fat and sugar and can leave them with an upset stomach, or in need of a trip to the vet. Sadly, fruity lollies are a no-no too, as they often contain sweeteners, like xylitol, which are toxic to dogs. Choose some of your pet’s favourite fruits (i.e. pears, apple, strawberry, banana, melon – avoid grapes and citrus fruits) and chop them up into small pieces. Remember, make sure any rind, stones or pips have been removed first, as these can be toxic or harmful to our dogs. Mix the fruity chunks with some water (you can always mash up some bits of fruit and extract their juices and add this too). Then, carefully pour the fruity mixture into lolly holders (minus the stick bit). Finally, pop the mixture in your freezer until frozen solid, then surprise your dog with a delicious cooling pooch pop on a hot summer’s day. These are great fun for teething pups, adolescent or golden oldies who enjoy a good chew. Take a rubber chew toy (one of the ones that have a hollow centre, which you would usually fill with treats or kibble). Use your finger or a spoon and smear a layer of dog-safe peanut butter (i.e. xylitol-free) inside the hollow of the chew toy. Then, put the peanut buttered chew toy into a plastic bag and pop in the freezer. This a tasty and cooling way to keep your four-legged friends busy and happy, especially if they are a bit of a chewer. Bananas are naturally sweet and will satisfy your dog’s sweet tooth. Just remember to always feed in moderation, as bananas are rich in potassium. Carefully chop up a banana into 0.5 cm wide slices. Then, pop each of the slices into a separate compartment of an ice cube tray. 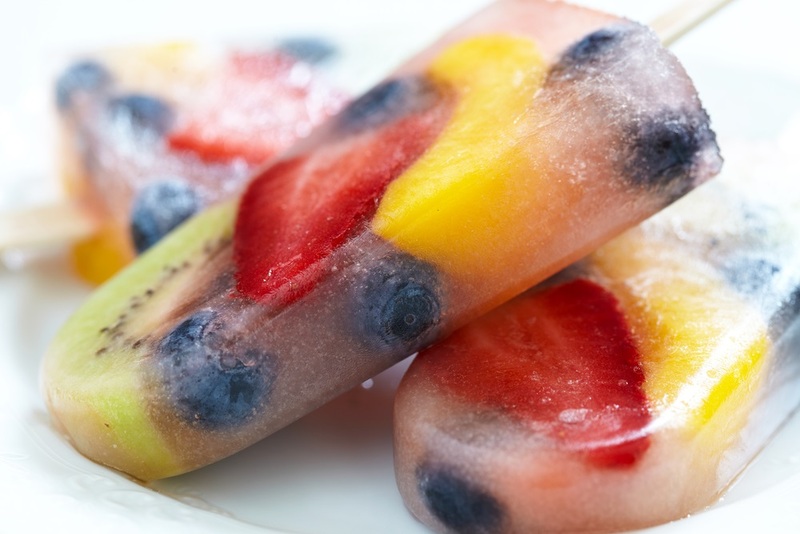 Once each of the slices has found a home in the ice cube tray, simply put it into the freezer until needed – yum! Remember, treats should always be enjoyed in moderation, to avoid unbalancing their diet and help keep them at a healthy weight. ©2018 Merial Animal Health Ltd. All rights reserved. Merial is now part of the Boehringer Ingelheim Group of Companies. Date of preparation: June 2018. PE2587.